This cute, small flower teapot potted plant is just what everyone needs for decoration in their homes. It gives a pretty look to the place. 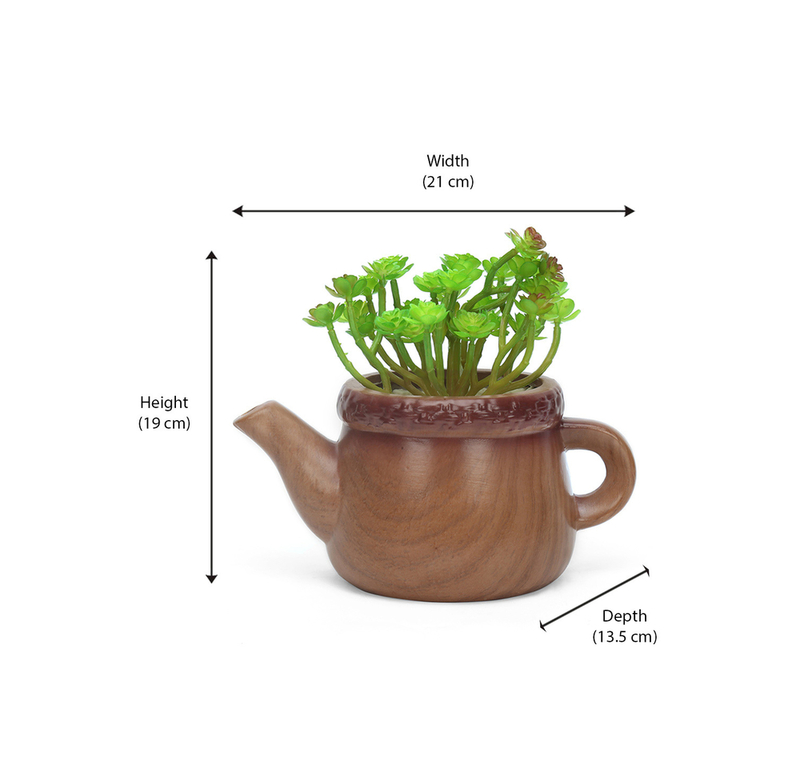 With a length of 21cm, depth of 13.5cm and height of 19cm, these teapots can be placed in any corner of the room. It looks good on all kinds of interiors, but light shade interiors are preferred due to the brown colour of the teapot. The material used to make the pot is ceramic, the same with which normal flower pots are made. The potted plant is beautiful and makes the place looks greener and happier. The flower teapot with a potted plant is a must buy as it is a great addition to the homes. It is beautifully designed and stands out from all the other decorations of the home due to the potted plant. It gives a pleasant look to the house and can be used, both indoors as well as outdoors. It is a onetime purchase as you can change the plants from time to time according to the season and your mood. To buy the product, and look for many others in the same category, visit 2Home now.